Harpoon originally appeared on the album "Slightly Odway". 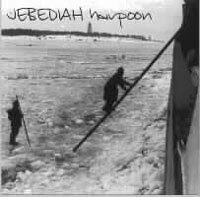 EP features a cover of "Harpoon" by the band "Something For Kate" as well as a cover of the Something For Kate song "Clint" by Jebediah. Both these covers also appear on the Something For Kate single "Roll Credit".